I don’t know what the weather is like in Georgia but if winter and the beginning of spring have been like what we’ve experienced in England, where we still have snow, the maintenance crews at Augusta must be pulling their hair out. One player not pulling his hair out—but probably bouncing off the walls waiting for the Masters to begin—is Tiger Woods (who is going into the tournament at 7/2 odds). We’re all waiting to see if the move from Titleist to Nike will be good for Rory McIlroy (8/1) but it’s certainly given Tiger extra incentive: so far this year he has three wins in five starts on the PGA Tour, that’s more than a stat, it’s a statement of intent. Since winning his last green jacket in 2005, Tiger has come into the Masters with injuries, poor form and a poor thought process, but still managed to crack the Top 10 every year except 2012. If he stays healthy he’ll be hard to ignore at the other majors, so watch for more on him in future major betting guides. 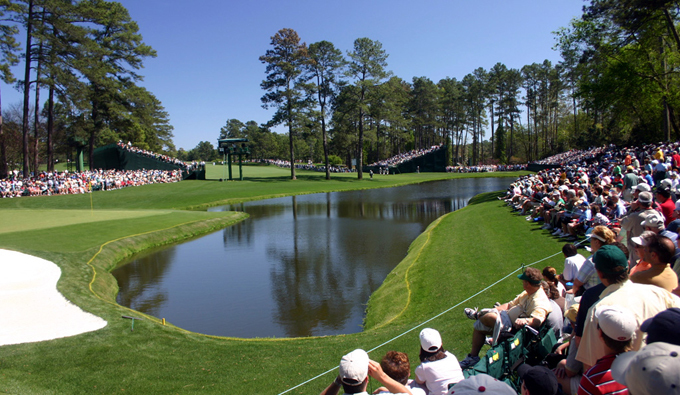 At the odds Tiger and Rory are being offered at I am going to steer clear of tipping them, I do think they both have a very good chance of winning, Rory has unfinished business here but will he win the Masters this year? I’m looking for Rory and Tiger to make up the final pairing: How the Nike guys will love that! I am writing these up before the Valero Texas Open and while McIlroy, Schwartzel and Kuchar are competing this week, unless their games go south I don’t think that result will have too much bearing on how they will play at Augusta. If Tiger doesn’t win this year I’d bet on a South African. 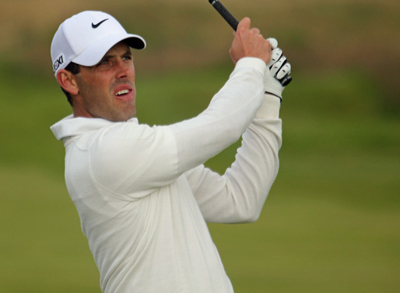 My first choice is 2011 Champion Charl Schwartzel (25/1) another player who seems to be on a mission this season: In three European Tour events he has one win, runner-up and a Top 5 , while on the PGA Tour he has been outside the top 20 once in his four tournaments. He would have loved slipping the green jacket on his friend Louis Oosthuizen (28/1) last year but this year the lad from Johannesburg wants it back. 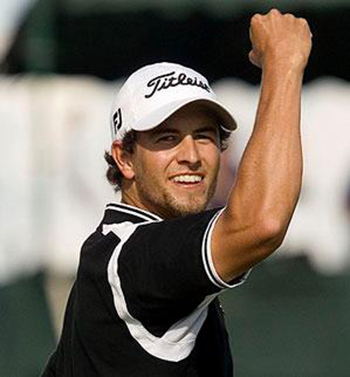 Adam Scott 28/1 hasn’t been outside the top 20 at Augusta the last three years. In 2011 his final round 67 looked good enough to get him into the playoff with fellow Australian Jason Day (40/1). Both were bidding to become the first Australian to win this event only to be swept apart by Schwartzel’s four birdies on the final four holes. Dustin Johnson 28/1 – surely Dustin’s first major can’t be that far away and for that 2010 2-shot penalty shot in the PGA to be put to bed. Johnson has had some good finishes in majors and a tremendous charge at the 2011 Open Championship in some biting conditions. Dustin has had a win this year and is in good form coming into The Masters with a Top 5 finish at the Shell Houston Open. 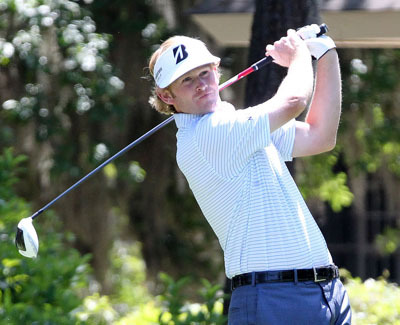 Brandt Snedeker 33/1 is currently second to Tiger Woods in the FedEx Cup rankings, up until his injury he had played five tournaments and had been outside the top 5 only once (and that was still a top 25 finish). He won the AT&T Pebble Beach National ProAm and was in scintillating form before a rib injury. Since his comeback he has not made a cut but has been working diligently on his short game while his ribs recovered and what better part of your game to be working on as you head into Augusta National. Matt Kuchar 35/1 who nearly made last year’s playoff but had a double-bogey on 9, got back in the hunt with an eagle on 15, only to give a shot back on 16. Kuchar has already won this year at the WGC Match Play and had another Top 15 finish at the Tampa Bay Championship, which takes him to five Top 20 finishes from seven events. Anyone who has been following my tips will know we had Schwartzel at 100/1 in 2011 and Oosthuizen at 66/1 last year, so we have a pretty good record in this section. There are some good bets out there, Padraig Harrington 66/1, Bill Haas 80/1 but I am going for Branden Grace 200/1. 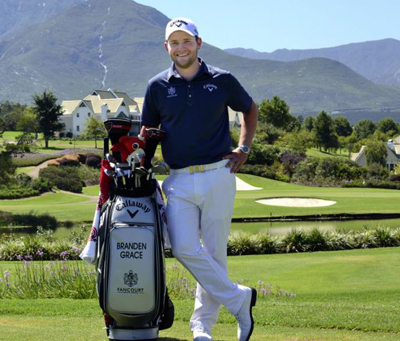 I have always fancied a South African to win The Masters this year and Branden is a proven winner on the European Tour winning four times last year. He has not been in the greatest of form on the PGA Tour missing his last two cuts, but I think he’s been gearing up for this week.